Positive train control is hardware on the trains and the tracks that communicates wirelessly to prevent collisions. The deadline to install PTC is Dec. 31. The Federal Railroad Administration warned MARC three times it is in danger of missing the deadline. A Maryland senator wants answers from the governor and the state's MARC train system as a deadline looms for a mandatory safety update. Sen. Chris Van Hollen (D) said his letter to the governor isn't just about MARC meeting a deadline; it's a matter of public safety. Congress first directed the railroads to install positive train control (PTC) a decade ago. The deadline has been repeatedly pushed back. Now it's just three-and-a-half months away. PTC is hardware on the trains and the tracks that communicates wirelessly to prevent collisions. The system can slow or stop a train automatically if it's going too fast for conditions, which the NTSB says could have prevented deadly crashes. "We need to make sure when a passenger gets on a train, they know they're going to get to their destination safely," Van Hollen said. Van Hollen took note when the federal government sent three warning letters this year saying MARC is not only in danger of missing the Dec. 31 deadline, it's not even on schedule to meet what's required for an extension. Amtrak owns the tracks for MARC'S Penn Line and has said it may not let trains without PTC run on its tracks after Jan. 1. "That would cause a big problem if Amtrak does that," Van Hollen said. 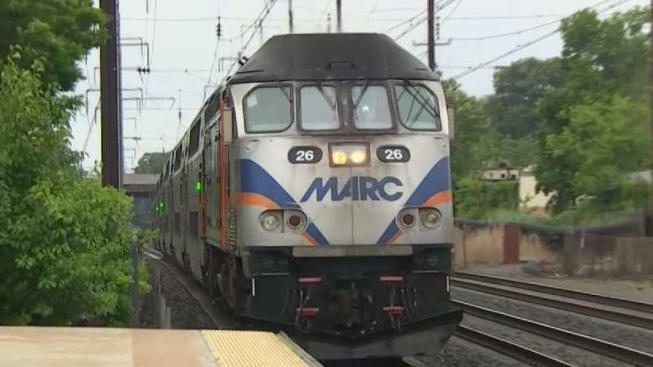 But the Maryland Transit Administration says MARC is on track to have PTC installed, tested, and up and running by the end of the year despite the Federal Railroad Administration thinking otherwise. "We will certainly do our best to urge MARC to move in the right direction and try to address safety concerns as quickly as possible so that we can avoid inconvenience to passengers," Van Hollen said.